Huo Guo is said to have been around since the Warring States era (475-221 BCE), when clay pots were used for cooking it. 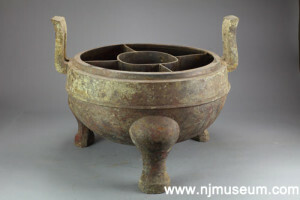 Pots changed to bronze during the Han Dynasty. Huo Guo became a widespread cuisine during the Song Dynasty and even made its way into imperial dining during the Qing Dynasty, with the addition of game into the mix. 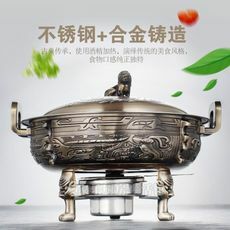 Materials for hot pot ware has remained consistent over the last 800 or so years, today, a mixture of copper, iron and clay pots are still used, depending on the flavour and type of Huo Guo. Portable electric stoves are preferred over gas fires for its ecological value and convenience, and stainless steel pots the most popular. 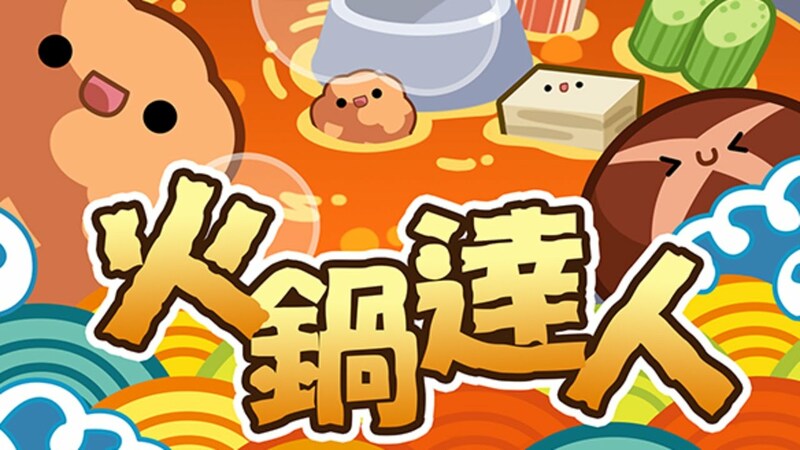 Home ware makers strife to enhance the hot pot experience with square, or octagonal pots, pots that can be divided into multiple sections, and pots made of high-temperature withstanding glass so you could see the ingredients dancing in the soup. 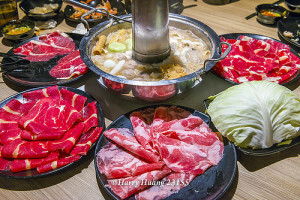 There is a vast range of different Huo Guo traditions around China, the most exotic ones include Chrysanthemum Hot Pot from Suzhou and Hangzou, the Dian Wei Hot Pot from Yunnan that is flavoured the region’s famous Dian Hong black tea and features its renown Yuntui or Xuanwei cured ham. The three most famous Huo Guo styles are Sichuanese, northern and Cantonese. Sichuanese is distinguished by the vast amount of chillis and Sichuan peppers in the soup, its use of the Yuan Yang pot that divides into two sections, for spicy and non-spicy soups, and tripe as an ingredient. A distant ancestor of this style of Huo Guo is the Wu Shu Fu (Five Pot Cauldron) from the Three Kingdoms Era (220-280 CE), which had five sections for different kinds of soups and ingredients. Northern hot pot favours thin slices of lamb, a tradition that dates back to Mongolian influence during the Yuan Dynasty. Cantonese hot pot, is called 打边炉“Da Been Loh”, or “food by the pot”. 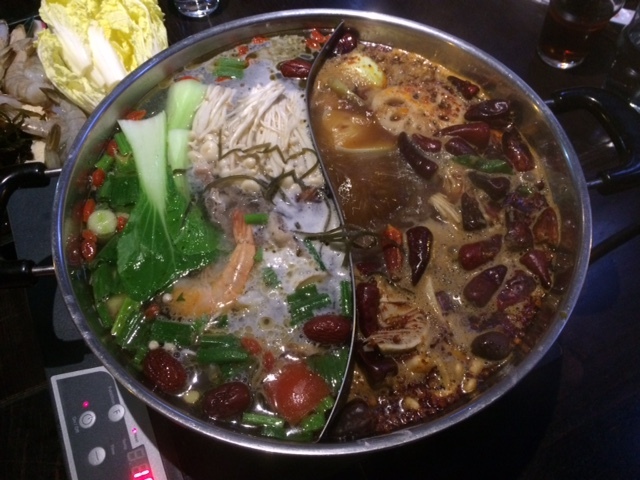 For a region known throughout the world for its choice soups, its hot pot requires no less. Having excellent stock for the hot pot soup, usually pork or chicken bone with herbs and sometimes gourds, prepared over at least a few hours before the start of the meal, is a signature for the Cantonese hot pot, as is its preference for lighter, fresher flavours over the hot and salty, and for sea food ingredients such as squid and shrimps, and crispy Teochew beef balls. Both the Sichuanese and Cantonese like a good selection of offal in their hot pot. Most Huo Guo styles will feature a generous selection of vegetables such as Chinese leaf, Bak Choi, spinach, bean sprouts, and mushrooms such as Mu’Er, Jin Zhen Gu (a.k.a. Enoki mushrooms) and often noodles (of rice, sweet potato or green bean) and doufu (bean curd). The cooked pieces are usually dipped in sauce. There is a wide range to choose from, crushed garlic, sesame oil, soy and spring onions are just some of the most common ingredients from which you make your concoction. Don’t pour away the soup left-over in your bowl from dipping your cooked pieces, it will have gathered the flavours of all the food you’ve eaten and therefore be delicious to drink at the end of your meal. My early experiences of hot pot were Da Been Loh with our first neigbhours, a Shunde family who had become lifelong friends, and whom I consider my Cantonese family. I remember the very light and pure taste of the soup, paper thin slices or beef and fish, sweet taste of shellfish, dipped in sesame sauce. Years later, after my parents and I had moved to the UK, I told one of the uncles, who is a national chef, that I very much missed the fresh taste of Guangzhou. He said no problem, next time I visit he’ll give me a fresh meal to remember. Having enjoyed snake wine and crocodile stir fry made by this uncle , I knew I was in for a treat. Even my high expectations didn’t prepare me for just how fresh the hot pot ingredients were going to be. There were more parts from different fishes on the table than I could name if I had diagrams before me. All delicious, sweet, hardly needng any flavouring at all. 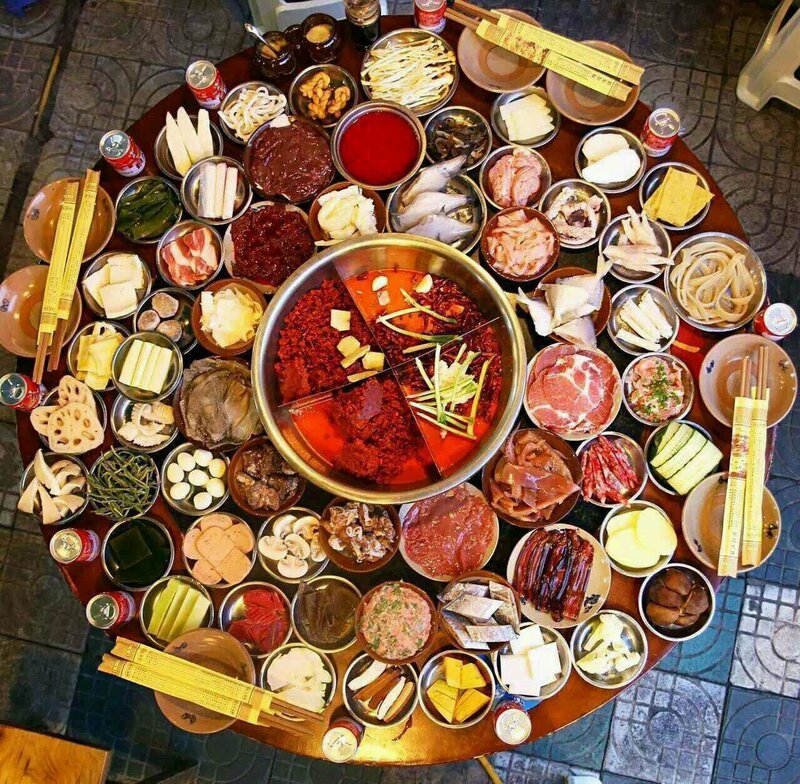 As with all Chinese meals, there are rules of coking and etiquette to hot pot . Northerners tend to be particular about the position in which different foods are placed, while hot potters in Chongqing are emphatic about the specific number of times a piece should be dipped in the soup, before it’s ready to eat, no more, and no less. Very thin slices of meat, tender shoots and mushrooms can be merely blanched (a cooking method called “Tang” in Mandarin, or “Look” in Cantonese), it is sufficient to hold it in the soup with your chopsticks or ladle for a brief moment. Others, such as ham, muscles or Doufu, may need to be boiled. It’s customary to cook meat first and then vegetables. If the food is being cooked communally, it would be impolite (and unhygienic) to put raw meat in just when the communal pieces are nearly ready. If there are favourite ingredients you’ve been craving for, it’s acceptable occasionally to keep them separate and cook them in your own ladle and keep them for your own enjoyment. Remember, it’s travesty to leave any piece in the soup for too long, it will overcook and lose all its flavour. Huo Guo is now available in many Chinese restaurants around the world, especially Sichuanese ones. Alternatively you can purchase pots for cooking it, ladles, as well as the ingredients in most Chinese supermarkets. And then, all you need this is a portable stove. For the seasoned Chinese food lover, I’d say your experience of Chinese food isn’t complete without having tasted hot pot. 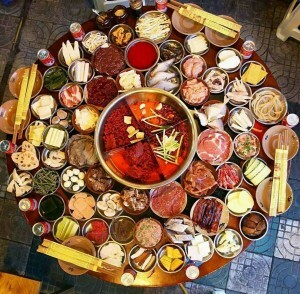 To give you an idea of how just important this cuisine is to the Chinese, travellers to Sichuan can now purchase insurance just for hot pot, in case this very spicy meal sends them running to the hospital. 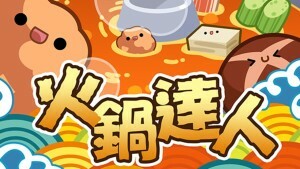 To wet your appetite and practice your cooking skills, download the mobile game Hot Pot Master.